This Vollrath 75020 20" stainless steel steam table pan adapter bar can divide your steam table to fit all types of pans, is easy to clean, and gives your steam table and your business a professional look. 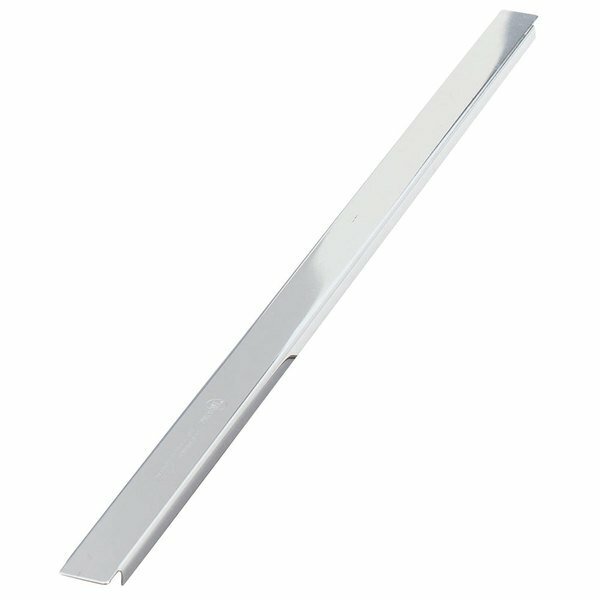 Nemco 66093 2 Hole Stainless Steel Steam Table Adapter Plate - 6 3/8"
This is a fantastic adapter bar. I would recommend measure your cold table to ensure that it fits your table before assuming with the purchase. This adapter bar is a great way to organize your cold table. Make sure you get the right length, as the lengths are not standard. these divders fit the steam tables perfectly. they are of good quality. not mention the price was great too. will byu more of these when needed.